WE HAVE SNOW! Time for a Skip Barber Racing School Winter Driving Clinic! It finally hit. Blowing snow. Treacherous roads. Winter is here, it’s going to stick around for a while and the driving isn’t much fun. Did a patch of ice surprise you? Did you get caught in that snow squall on the highway? How did you handle those hills around your neighborhood? 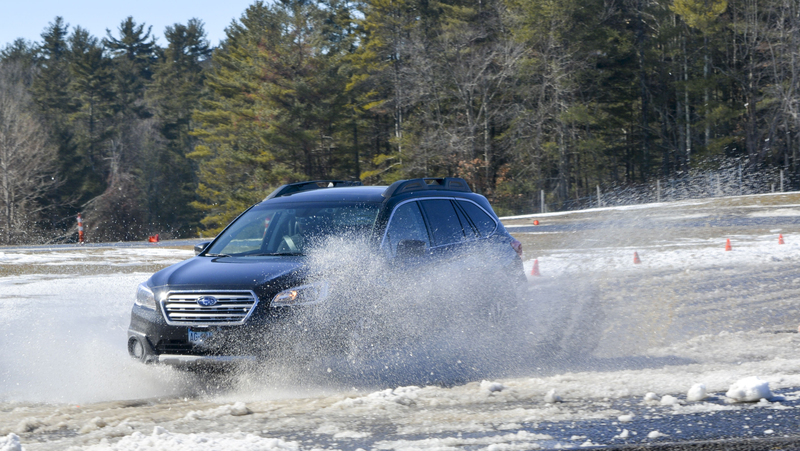 Wednesday’s storm left us with plenty of snow and plenty of opportunity to learn in real-world conditions at our Winter Driving Clinic at Lime Rock Park. Come join us this Saturday, February 2nd at 8am and discover a hundred reasons why our Winter Driving Clinic is a great idea! Have you ever driven on a skip pad? It’s a section of pavement that allows drivers to learn the correct way to control a skid in the snow. With our expert instructors on board, you will learn how to anticipate, avoid and correct the skids that are all too common snow-covered roads. Driving on the autocross in snow helps you put all you’ve learned together in one safe, mentored, directed driving exercise. This isn’t simply theory … it’s the real thing … and, the lessons learned can take the mystery and worry out of winter driving. Don’t miss out on this opportunity to drive on a safe, snow course and come away with skills, understanding and confidence. Then take to the snow-covered roads knowing you’ll be prepared and safe! The Lime Rock Park forecast for Saturday, February 2 is mid 30’s with no chance of precipitation. Come out to celebrate Groundhog Day by gearing up for 6 more weeks of winter as a skilled driver – a graduate of the Skip Barber Racing School Winter Driving Clinic. P.S. – If you can’t make the Snow Covered Winter Driving Clinic on Saturday, the next scheduled Winter Driving Clinic is February 9.